Tips for Getting Your Zen Cart Store Ready for the Holidays: Offer E-Gift Vouchers & Gift Wrapping! With the holiday season less than five months away, the summer is the best time to get ready. 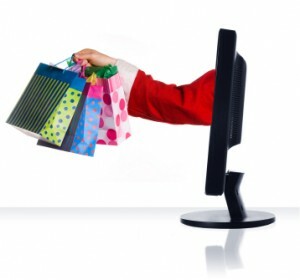 If you have a Zen Cart or e-commerce store, no one needs to tell you how the holidays impact your revenue. Making the most of your current customer base, as well as every single new visitor to your site, will maximize your profits when the holidays hit. In this series of posts throughout the month of July, Numinix is providing twelve helpful tips to help you maximize your site visitors, increase sales and revenue, make your customers happy, decrease complaints, and make your own holiday season cheerful during the process! If shipping items to a customer takes time, this means online shopping isn’t particularly attractive to people who are trying to get a gift on Christmas Eve. 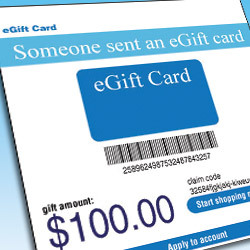 However, if you offer electronic gift vouchers like Amazon, then shoppers will be able to buy last minute gifts without ever leaving the comfort of their homes. And, what’s more, if you run a Zen Cart site (with version 1.5x or later), Zen Cart already comes pre-installed with gift certificates (Admin -> Gift Certificate/Coupons) and is managed under Admin -> Modules -> Order Total. In the end, electronic gift vouchers are cheaper to produce than physical gift cards, so you don’t have to spend a lot of money to give them a try! Choosing to wrap your own gifts to save money is always a great response to hard economic times. But there will always be people with more money than time. And these folks will gladly take you up on this service. By adding a gift wrapping service, like Marks & Spencer, you can increase your revenue and make your products more attractive to certain shoppers. For example, people who are either shipping gifts directly to their recipients, or are simply too busy to spend time wrapping presents, are great candidates for this ideal service. If you are running a Zen Cart site, the Gift Wrapping module could fit the bill for your budget. This module uses the order total system to break out giftwrapping costs and allows dynamic pricing of gift wrapping services. At a pricetag of “Free!” and an install cost of just $45 (guaranteed in 2 business days, pending no preexisting conditions), this module may give your store the added value you need to drive up your sales this holiday season!